A skive is a slice along the long axis of a tube or wire that leaves a thin layer of tubing (or wire) remaining after completion. Typically as the end of the desired cut length is approached, the skive gradually rejoins the remaining tube over a large radius transition zone. The image below depicts a skived stainless steel tube. 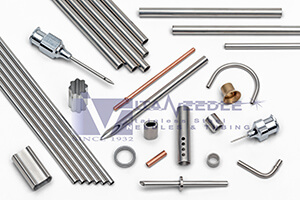 They are popular for balloon delivery and retraction applications, and can also be found on tubes for the purposes of product alignment with another piece, or to bottom out a product for secondary welding. 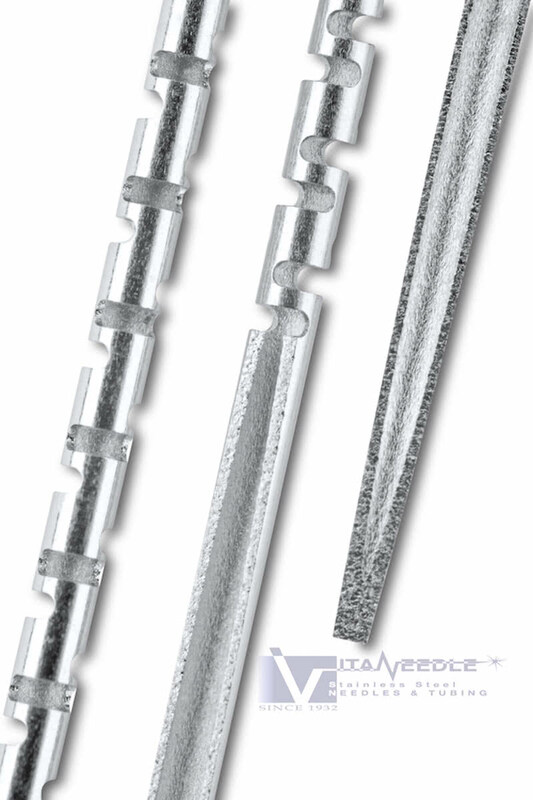 Vita has a proprietary method to produce skives with close tolerance requirements, and can even break the heels and radius the tips of skives if required for the application. 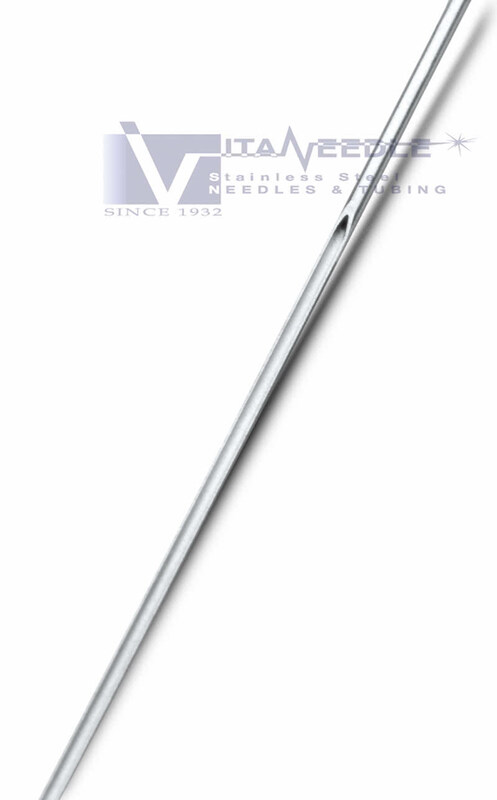 Finishes along the cut surface of the skive can also be improved using our proprietary manufacturing methods. All skived tubing jobs are custom manufactured. Please send us a drawing in order to provide a quotation to manufacture per your requirements.